The Third Annual APRIL FOOD DAY! For the third year in a row, Easy and Elegant Life’s Editor, Chris Cox and I are pleased to host APRIL FOOD DAY, Bloggers Fighting Hunger. Here’s what you can do to help! You can add the logo for Feeding America, the national food bank, to your blog. Feeding America has also set up a special URL for donations, here. Feeding America provides emergency food assistance to approximately 5.7 million different people per week. Link your post here, so we can see how many participants we have. On behalf of all of the people you will be helping, thank you so much! Please post a link to your post about April Food Day - not your entire blog, just the April Food Day post! The link will take you to another page where you'll enter the URL for your post, and then it will bring you right back here. We are pleased to host the Third Annual April Food Day: Bloggers Fighting Hunger! To participate, please post the April Food Day logo on your blog and add a link to either the national food bank, Feeding America, or your local food bank. To encourage people to donate, you might link directly to the donations page. Feeding America has a secure on-line donations page: HERE. If hunger has touched you, or someone you know, I hope that you will consider sharing the story with your readers. A personalized story helps make Hunger in America more real to people. Additionally, please Tweet about April Food Day, and add it to your Facebook status on April 1. I will be posting a links list so that everyone can see who participated. Look for that tomorrow! Today is April Food Day and it’s no joke. More and more people in our country are going hungry because they have lost their jobs, their benefits have ended, they can’t find a job and have no place left to turn but to their local food bank. But the nation’s food banks are stretched to the limit because of the increased number of people needing their services. 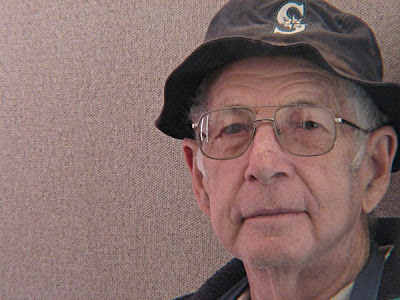 …a dear friend and community member crossed over. At his one year crossing remembrance, stories began to come out and I realized with great sorrow, our friend went hungry. I feel sad when I think of it, that our dear friend who gave so much and was so generous in spirit and friendship was hungry and we never knew that. How did we not make it our business to know how it was with him we loved so? Please make a donation to Feeding America, or your local food bank, and count yourself as one of the lucky ones if you’re not going to bed hungry every night. Feeding America has set up a special URL for April Food Day so they can see how much we’ve donated. If you’re a blogger, tweeter, facebooker or have an e-mail list, please share this address. Let me know if you’ve posted about April Food Day, and we will add you to the list of participants on the April Food Day site. Interestingly, there was a story about hunger in America this afternoon on NPR. You can listen to it here. April Food Day Details – Are you in? April 1 is just two days away and we’re preparing for the second annual April Food Day blog event. This year, Chris Cox, Editor of Easy & Elegant Life, and I hope that people will post the link on twitter and facebook, and share the information with their friends and colleagues. Feeding America has provided April Food Day with a special link that will track the giving, and so we will know what an impact it’s had. Last but not least, please let either Chris or me know that you’ve posted about April Food Day, so that we can add you to our list of participants. We had about 150 bloggers last year and would love to double that in 2010! 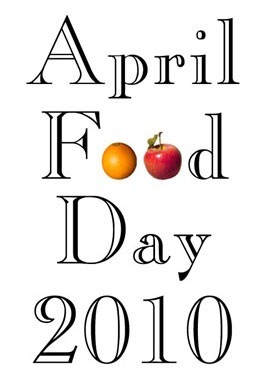 We are gearing up for April Food Day 2010, and hope that you will join us in our fight against hunger in America. We will be adding details on this year's campaign in a few days, and also providing a specific donation link to Feeding America, the national food bank. Well, the day is over and I think I can say that the first annual April Food Day, Bloggers Fighting Hunger, was a huge success. And it is all thanks to our fellow bloggers and all of our readers and to my partner-in-crime, Chris at Easy & Elegant Life. At last count, we had 115 blogs who participated. Of course, these are just the ones we know about, and there may be many more out there that we don't know about. 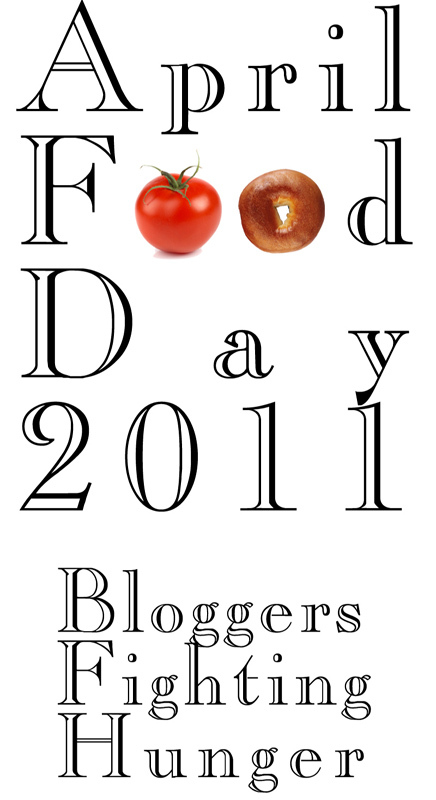 If you posted and your blog doesn't appear on the list on April Food Day, let me know, and we'll add it. Bloggers who posted ranged from the traditional design/decor blogs to southern prep and hospitality blogs to the Blume Library's blog. We were mentioned on the weekly Food Chat on the Washington Post and on Dining @ Large in the Baltimore Sun, and on the Huffington Post. Bloggers in England, Scotland and France, as well as our neighbours to the north in Canada, all wrote about April Food Day. Some people just posted the logo and the links and others told personal stories of volunteering at food banks or having to use one. Unfortunately, I don't know that we'll be able to find out how much bloggers donated, as there was no way to flag our donations. Also, some people linked to their local food banks for their readers. Regardless, I know that we all made an impact by raising both money and awareness. Thank you very very much to each and every blogger who posted and to each and every person who made a contribution. Here's the logo: Here's one designed by Rosemary at Content in a Cottage. Thank you for helping. It is so critical that those of us who are not in this position help those who are. So many people who never thought they would need food assistance are now asking for help from their local food bank. They have lost their jobs through the massive down-sizings and layoffs. They have exhausted all of their resources. Elderly people on fixed incomes are finding that costs are out-pacing their incomes. First-time requests at food banks are at an all-time high, but the shelves are bare. Corporations and foundations have decreased their donations and individuals are so uncertain about their own finances, that their giving has slowed. We are asking that you make a donation, even if it's just a dollar or two. It will help someone who may be less fortunate than you are. Here's the link to Feeding America, an affiliation of more than 200 food banks across the country. Chances are that your local food bank is a part of this network. We're all in this together, and that's the way we will come through it... together. Please help today. The need is great and the time is now. Please help us fight hunger in the US by supporting either your local food bank, or Feeding America, a national food bank with 200 members across the United States. 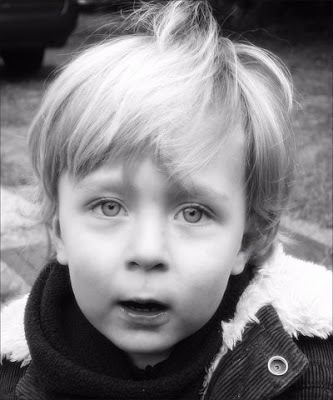 For international food relief, please support Feed the Children. 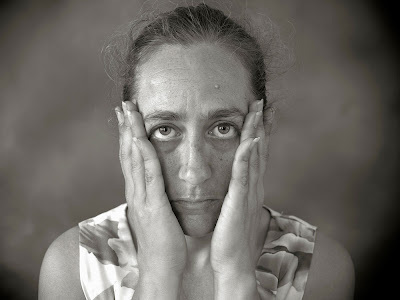 What Would Jane Austin Do?